Dr. John Montgomery wrote those words in 1974, recalling the day some 33 years earlier when he and his wife, Edith Rothwell Montgomery, fell under the spell of Montwell, the gracious Georgian-styled house they would purchase and refurbish to become the centerpiece of life with their five children and the many visitors they welcomed before and during Dr. Montgomery’s tenure as president of Greenbrier College. When the Montgomerys moved into Montwell in March of 1942, they became the third prominent Lewisburg family to own the home since it was constructed in 1818. And, thanks to the efforts of John and Edith Rothwell Montgomery’s daughter and son-in-law, Mary and Paul Lindquist, Montwell has been beautifully restored to its early 19th Century splendor and is prepared to welcome family and friends to celebrate its bicentennial. The house now known as Montwell (a name created by the Montgomerys by combining parts of John and Edith’s family names) was known in the pre-Montgomery years as the James Withrow House because it was built for James and Letitia Withrow. Built by John Wier, an architect and brick mason, it was one of the first brick houses in Lewisburg, and it the oldest still standing. Perched majestically on a rise with a sweeping view of downtown Lewisburg, Montwell originally overlooked the tannery owned by James Withrow. James and Letitia raised nine children there, and it eventually became the home of their son, James Withrow II. The main house features a large porch flanked by two huge columns and two small half-columns. Double doors open into the hall, a square room with stairs on the back and left. Off the entrance hall to left, right and behind are three additional square rooms. The second floor has the same configuration. The original kitchen with its massive chimney and immense fireplace was in separate brick structure which also served as slave quarters. It has since been connected to the main house and converted into a rental apartment. Morgan Bunn, a history enthusiast who has done extensive research on the Withrow family, notes that there is some mystery as to why the house became the residence of James II, since the estate was willed to another son, John. In any event, the younger James and his family lived in Montwell for more than 50 years. In addition to the barn and cistern house that were built during his father’s era (both of which survive), James II added a square brick building to the property to use as his office. Although father and son both were involved with the leather/tannery business, the younger James took on many other roles. A lawyer by training, he was commissioner of the circuit court, representative to the Virginia legislature, and a farmer. 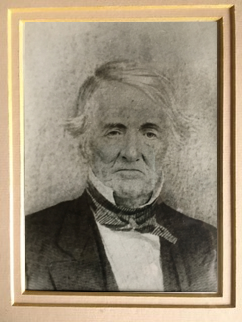 He was a Ruling Elder and for 50 years served as the choir director of Lewisburg Presbyterian Church ( later was renamed the Old Stone Presbyterian Church). “I think it’s pretty common knowledge that James Withrow was a Colonel in the Virginia Militia and then the home guards and is sometimes seen addressed as Col. Withrow. His brother, John Withrow, was the deputy secretary of the Confederate States of America’s Office in Lewisburg,” she says. The house entered a new era in 1905 when James’ widow, Mary, sold the property to Nancy A. Surbaugh, granddaughter of noted Greenbrier County cabinetmaker David Surbaugh. “Nannie” Surbaugh never married and was deaf from the age of 16. She was a half-sister of Edward Sydenstricker, a gentleman farmer who owned a house on Chestnut Street in town and a farm on the outskirts of Lewisburg. When financial difficulties brought on by the Depression made it impossible to afford both, he sold the Lewisburg house and moved his family in with Nannie. Sydenstricker’s daughter, Bettie Sydenstricker Woodward, remembers Nannie as a jolly woman and wonderful cook who could read lips. Nannie oversaw the first modernization of the house, which included the addition of an inside kitchen and the creation of another bedroom and a bathroom using space from the back bedroom. She also added a number of Victorian touches, including a long claw-foot bathtub (which remains) and radiators (which do not). Edward Sydenstricker inherited the house when Nannie died, but only outlived Nannie by a few years. After his death Bettie and her mother moved in with relatives in the country. Bettie went on to become a civic leader and educator (for more on this remarkable woman, see the profile, Growing up with the Greenbriers, on www.gvquarterly.com). After the Sydenstrickers vacated, the house stood empty for two years before it was sold at auction to John Montgomery, at that time principal of Lewisburg High School. Montgomery concluded that his three children, and those yet to come “will find a great joy here.” He was correct, but three-year-old Mary was not at all convinced at the time. She did not follow through on the threat, of course, and more than 60 years later, after many years of living out of state, Mary brought her table and boot home with her when she and Paul bought Montwell from her father. Mary recalls with fondness her years growing up at Montwell with her sisters, Edith and Joan, and brothers, Herbert and John. She notes that her father, who went on to serve as superintendent of Greenbrier County Schools before becoming president of Greenbrier College in the fall of 1954, was “never idle.” At the time he purchased Montwell, he was completing his course requirements for a Ph.D. from Duke University, making him one of the first people in Greenbrier County to earn a doctorate. He built the original stone retaining wall in front of the house and the stone fireplace in what is now Hill and Holler, and, in in his seventies, constructed a small log cabin to serve as blacksmith shop in which he taught the craft to children. Edith Montgomery was an accomplished woman whose talents and love of art contributed to the transformation of Montwell into a beautifully decorated and welcoming venue for the many receptions, house tours and college functions she hosted as the “first lady” of the college. In addition to its role in the life of the college, Montwell became the homecoming site for family reunions and elaborate Christmas gatherings. Edith Montgomery died in 1973, but John Montgomery remained at Montwell for three more decades, joined in 1974 by his second wife, Margaret. When he decided to move to the Seasons in 2002, Mary and Paul made the decision to buy the house and move to Lewisburg. Mary said they knew the house needed work but Paul was anxious to do it. At the time they were living in Columbus, Georgia, where they had already restored 12 historic houses, so they had a good idea what lay ahead. The Lindquists undertook an ambitious restoration of the house and grounds that included a complete redesign of the kitchen, reconfiguring of other rooms, upgrading and adding bathrooms, and moving and repurposing outbuildings. It was a mammoth undertaking that took two years to complete. The restoration was done while the Lindquists were still living in Georgia. Paul recalls that they traveled up about every three weeks to confer with the contractors and answer questions. During that time they brought five U-Haul trucks loaded with bricks and other building materials and Mary’s treasured collection of math books. They were fortunate to find an expert local contractor, Clifford Gillian, who ably managed the project from afar. They were also pleased to find local artisans to do detail work such as restoring stonework and woodwork and reclaiming wainscoting that had been buried behind previous renovations. Mary was particularly delighted that Layuna Rapp of Renick was able to salvage lace from her mother’s curtains and incorporate it into new custom window treatments for the dining room and her childhood bedroom. Nowhere is the artistry of the renovation more in evidence than in the kitchen, which Paul designed. Modern appliances blend seamlessly with cherry cabinets crafted by Mary’s nephew, Michael Arbaugh. They feature antique wavy glass and are based on a cabinet that once stood in her parent’s dining room. Mary jokes that because of earlier renovations, the kitchen was “nothing but doors” when they bought the house. During the renovation they reduced the number from six to three. For the most part, the house has been restored to its early 19th-century glory, with paint colors and furniture authentic to the Withrow era. Paul says he likes to think that if James and Letitia Withrow were to return today, they would not find it all that different. The exception is Mary’s childhood bedroom, which reflects the Victorian renovation. It is decorated with Victorian furniture from the Lindquists’ Georgia home, and the walls are painted the bold colors found under layers of wallpaper. The stencil design was redone by Mary and her sister Joan, who lives nearby in a house the Montgomerys built themselves as a summer project. Although the Montgomerys had updated plumbing and wiring when they purchased the house in the 1940s, it was definitely due for an infrastructure overhaul by the time the Lindquists arrived. Mary remarks that they found so many extension cords when they started work that at first no one was allowed to leave without taking one. And it wasn’t just the indoors that needed work. “We took out 40 loads of trees and brush. You couldn’t even see the front of the house. We did a good bit of landscaping and moved the road. We moved the barn so it could breathe and also the log cabin,” Paul says. The brick building that once served as James Withrow II’s office was converted into a charming office for Mary, who after a long career as a mathematics educator continues to work as a consultant for the international mathematics assessment. The property comprised seven acres when the Lindquists acquired it, but they have since donated four acres to the Greenbrier Valley Restoration Project, which is developing Montwell Park in the space once occupied by James Withrow’s tannery and the Montgomery cow pasture and sledding hills. The green part of the park will have walking paths through native plants and trees, a place for relaxation and education. Paul Lindquist is an ardent historic preservationist who currently serves on both the Lewisburg Historic Landmarks Commission and the Preservation Alliance of West Virginia. He explains that because Montwell is listed on the National Register of Historic Places, they were able to qualify for both federal and state tax credits to help finance the restoration. The Lindquists are both involved with the Greenbrier Historical Society, and as part of their celebration of Montwell’s 200th birthday they will host the society’s annual meeting later this year. A second celebration will come in the fall, when the home will once again welcome family members from far and wide for a reunion at Montwell, which for many generations has indeed proved itself to be a great house, a great home.